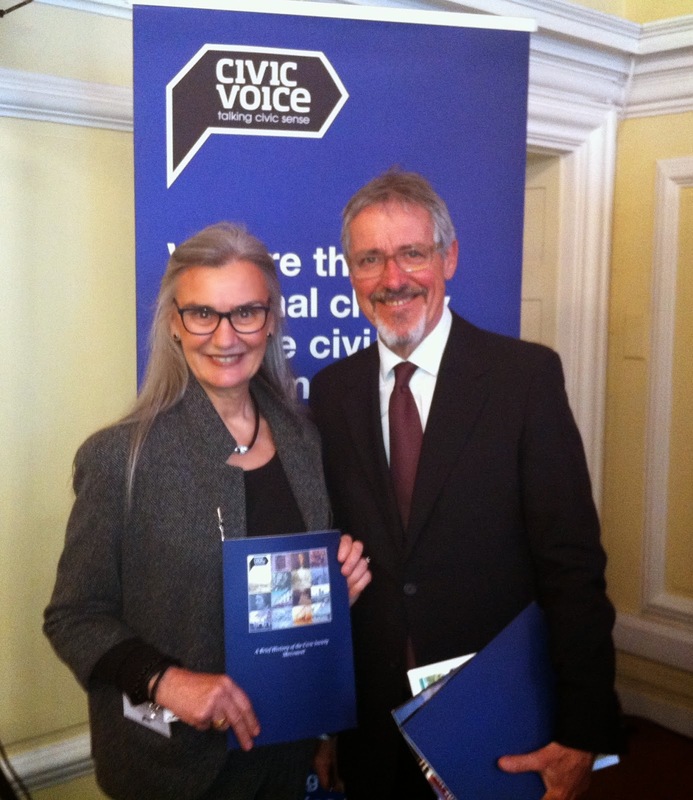 On 17th April 2014 at Central Hall Westminster Civic Voice celebrated it's 4th anniversary by launching the first ever publication telling the history of the civic society movement, introducing the inaugural Sandys Lecture and launching a video showing what a modern civic group looks like. The Sandys Lecture has been started by Civic Voice as a way to recognise the outstanding contribution made by Lord Duncan Sandys to the civic society movement. 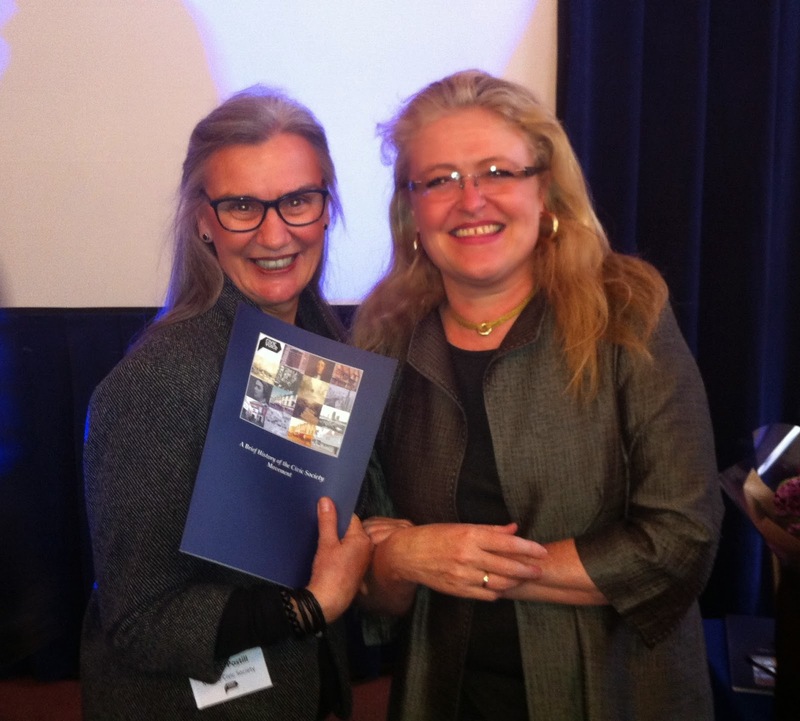 The first lecture was delivered by Laura Sandys, daughter of Lord Duncan Sandys, on the theme of "Power to the People". 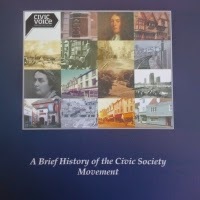 Following the lecture Grif Rhys Jones and Laura Sandys launched "A Brief History of the Civic Society Movement", a 36 page publication that tells the story of our remarkable movement. A well attended meeting of representatives from local community groups, held on Thursday 24th April, gave enthusiastic support to a plan to create a list of Assets of Community Value for Marple and surrounding villages. 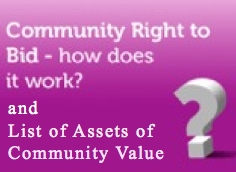 The Right to Bid (and the associated List of Assets of Community Value) is one of four "community rights" conferred by the Localism Act of 2012. The meeting was addressed by Andrew Stunell MP, Holly Rae, SMBC Corporate Policy Officer and Gillian Postill chair of Marple Civic Society. Andrew Stunell, who as a government minister helped write the bill, discussed how the Localism Act was intended to provided new opportunities for communities to take greater control of their affairs. However, whilst welcoming this initiative, he cautioned that the legislation is still new, aspects are still being tested and it will take time for the legislation to "bed in". Holly Rae explained the listing criteria, the nomination process and how Stockport MBC will work with communities to create and maintain a list. She commented that Stockport has only one "Asset of Community Value" listed currently and looked forward to working with the communities from Marple and surrounding villages to substantially increase the number. Gillian Postill explained how the Civic Society would work with Stockport MBC by making nominations and assisting other local groups by making nominations on their behalf if they did not meet the nomination criteria. Help us to protect Marple and the buildings and open spaces that we treasure in our communities. to find out how you can make nominations to the List of Assets of Community Value to help protect buildings and open spaces of community value in Marple and surrounding villages. 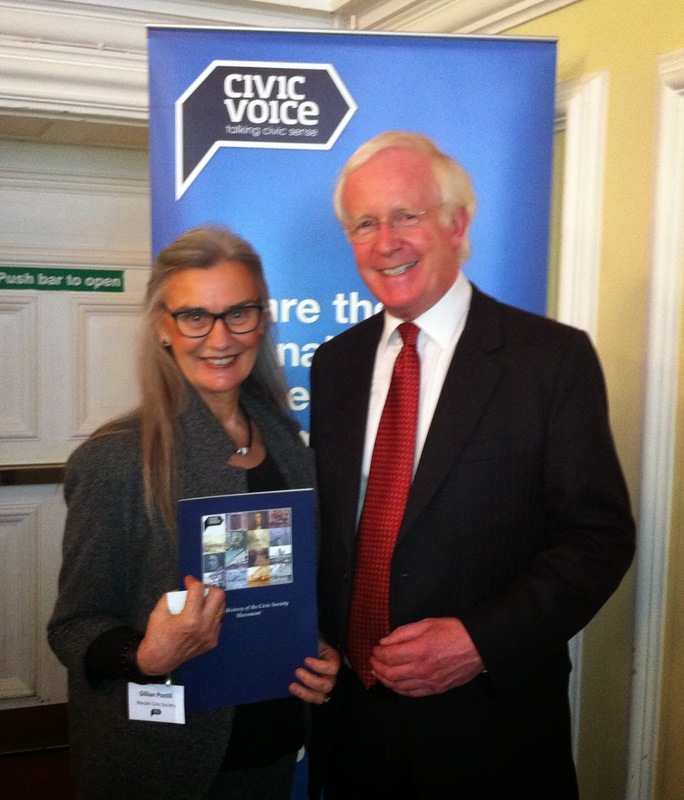 To commemorate Civic Voice reaching its fourth anniversary events were held in Central Hall Westminster with the inaugural Sandys Lecture in honour of Lord (Duncan) Sandys and the launch of " A Brief History of the Civic Movement" telling the story of one of the country's oldest social movements. Marple Civic Society was represented by Gillian and Alan Postill who heard presentations from Dr Freddie Gick, chair of trustees of Civic Voice, Griff Rhys Jones, President of Civic Voice and Laura Sandys MP (chair of the All Party Parliamentary Group for Civic Societies) who delivered the inaugural Sandys Lecture. Laura Sandys is the daughter of the late Lord Sandys, the founder of the Civic Trust in 1957. The subject of her lecture was "Power to the People". She gave a compelling and at times passionate exposition of the neeed for community groups to hold their elected representatives to account and demand true consultation and participation in matters that affect the places they live. Further dialogue around the traffic schemes will be required. what timescales do the council envisage for a "key priority"? what sort of retailers are interested? what criteria will be used to judge the options? who decides if a new planning application will be required, bearing in mind that a planning consent is in place for a foodstore that includes a traffic scheme wholly unaceptable to the Civic Society and and everyone consulted by the Civic Society. who will the "further dialogue" on traffic schemes be between? The Civic Society has asked the council to commit to an independent study of the public realm in the town centre of which the traffic scheme would be an integral part of the design. This must include meaningful consultation with the people of Marple - nothing less will do. Marple Civic Society has arranged a community meeting on 24th April 2014 and invited local groups to join us to find out about "Assets of Community Value" in order to help protect buildings and open spaces of community value in Marple and surrounding villages. The Localism Act 2011 introduces an important power called "The Community Right to Bid' which is relevant to all community groups seeking to protect community assets that are important to their local communities. This new power gives community groups an increased chance to save much-loved pubs, community/village halls, parks, swimming pools, libraries or other local facilities. It will also be taken into consideration if a planning application for a community asset is received by our Local Authority, Stockport MBC. We will invite community groups to make nominations which will be displayed at the society's stand at Marple Carnival where we will invite the public to comment on the nominations and make further nominations if they wish. Nationwide Building Society customers have voted to donate £100 to the civic society under the Nationwide Community Match Scheme. During April Marple Civic Society will be displayed in local Nationwide branches and customers will be given the opportunity to vote on a local cause to which they want Nationwide to donate a further £500. We intend to put the £100 donation towards the cost of our "Assets of Community Value" community project display materials for the public consultation on Civic Day at Marple Carnival. The project will have a significant impact on Marple in bringing the community together to protect our community assets. If successful in the second round we will use the donation to contribute towards the cost of facilities and community events at Marple Lime Kilns. For more information about the Lime Kilns follow the link to "Oldknow's Legacy HLF Project" under "News Items" to the right of this page. Many thanks to Nationwide and its customers. 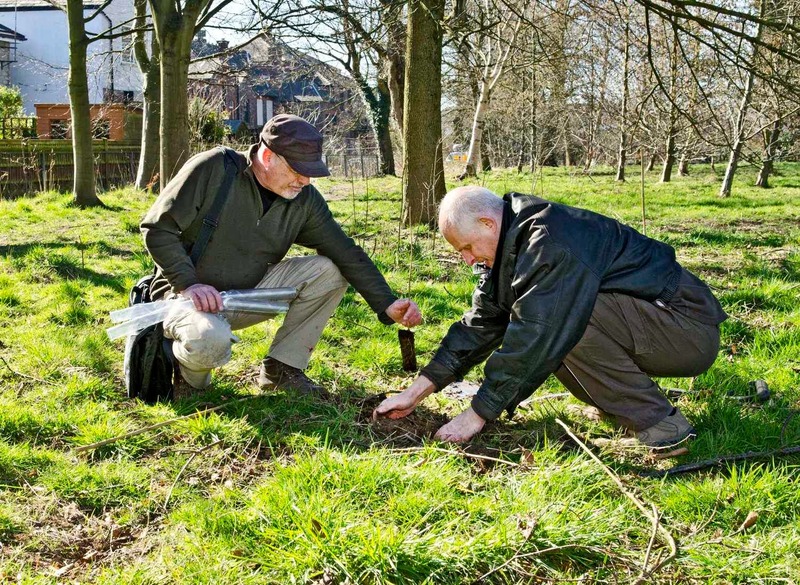 Marple Civic Society committee member Alan Postill recently joined "Marple, Marple Bridge and Mellor Energy Saving Strategy" (MESS) to help plant the first of 105 native trees provided by the Woodland Trust. 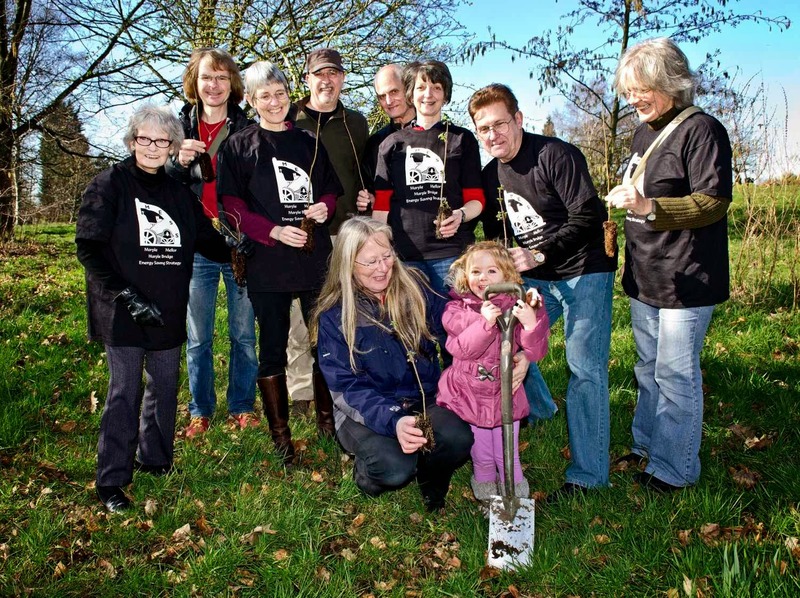 MESS applied to the Woodland Trust for the trees and distributed them to local groups including Friends of Marple Memorial Park, Friends of Rose Hill Station, Marple Fire Station and Friends of Marple Station. Tree species include Hazel, Blackthorn, Crab Apple, Dog Rose and Elder. More trees will be available in November. MESS have also installed planters on Market Street that will be planted with a variety of herbs for members of the public to pick for themselves.